Think back over the last year or so. Travel someplace, have a hobby, create a little art, go some place, or do some thing? Share it with a few friends. Got a little gossip here about our fellow pipeliner, Wayne Fredeen. Left is a picture of Wayne's youngest, Craig Fredeen. Now check out this month's issue of Alaska Business Monthly. Craig, a mechanical engineer, works at PDQ Inc. Engineers. 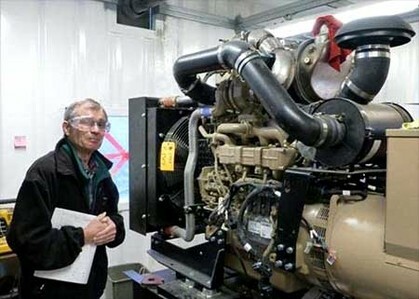 He was just named Engineer of the Year by the Alaska Society of Professionl Engineers. Below is a little note with some additional details I received from Wayne. "We all arrived in Fairbanks in 1975 where I worked as a contracts engineer on the construction of TAPS. ( I was a civil engr. graduate from WSU). We raised our three children in Alaska, and they went outside to get their college degrees. Eldest is Theresa, married with 3 children is a chemical engr with a master's in business, educated at UC Davis, works at the International Chevron HQ in CA, our 2nd child is Erik, Purdue graduate in mechanical engr, is President of Meridian Management, a project management firm in Anchorage, and our youngest is Craig, mechanical engineer from Oregon State who was selected as the professional engineer of the year for Alaska for 2015. Craig's specialty is HVAC, has a wife and two children living in Anchorage. Theresa went to CA for her education, got warm and stayed. Our two sons returned to Alaska to practice their engineering skills." Merry Christmas to all of our Friends and Family. Have you missed us? You are not going to believe what happened one Sunday in Septermber 2013! We were sitting on our front porch, enjoying a cup of coffee and watching a beautiful Nebraska sunset and out came a mosquito. No big deal, except this one was carrying the West Nile virus and took a liking to Pat. Four days after being bit, Pat suddenly became lethargic and Chuck took her to the Kearney Clinic. A day later Pat was in a coma in the ICU of Good Sam Hosptial in Kearney and a blood sample to CDC confirmed she had West Nile viral encephalitis. With a very high fever, she had four seizers, and remained in a coma at the ICU/Brain Trauma Unit at Good Sam Hospital for 5 weeks. Almost totally paralyzed, she was transferred to Madonna Rehabilitation Hospital in Lincoln. For the first month at Madonna, Pat remained in a "pretty much coma state" with Chuck by her side. Three months were spent there at which time Pat could not walk, feed herself, etc. and could barely talk or see. She was dismissed from Modonna in January 2014 in a wheel chiar and taking more than 18 prescription drugs. The entire 2014 was spent in in-home nursing care, in-home rehab, out patient rehab and lots of trips to doctors. Chuck was the best caretaker there ever was, but he worried he had lost his traveling companionn and soul mate. The was a role he never dreamed he would live. Early part of this year, found Pat able to walk unaided and scribbling her name. It took most of 2015 to relearn everything. She started sewing simple things and completed five quilts for the Nebraska State Fair. They didn't hold a candle to the nine that received top honors in 2013, but one got a second place and two received thirds! It was a pleasure to get back into the swing of things. She is back to cooking simple meals and can finally use a computer. Thank goodness Chuck remaied healthy and upbeat through all of this! It has been almost three ears, but Pat is getting back to her old self and it is really amazing she has recovered so well. Thank you to everyone who remembered us in prayers, visited us at the hospitals and at home, sent cards, flowers, brought foof and provided support in so many different ways. We couldn't have done it without you! Meantime, we are getting back into the swing of life! Our two toy poodles continue to be fabulous companions. We were phasing out our coin show business when the mosquito stung Pat and Chuck now has phased it out completely. We were able to take our first real (non-medical) trip in October. We drove to Florida and visited Chuck's family. Chuck loves driving his pick-up and Pat enjoys being the navigator. We boarded a Norwegian Cruise ship with Rod, Marge, Beth & Mike for a seven day cruise in the Caribbean. We had a fabulous time and looking forward to lots more trips. We hope all is well for you and your family. Love to all. Pat & Chuck Brashears. July 28 - Patrica Brashears - Many of you know that Patricia Brashears has been an avid quilter for years and won so many prizes for her quilts I don't know if she could tell you how many she has received. I was able to get a few of pictures of her quilts and put them together to share here. If you notice there were no quilts in 2014. Let me tell you why. In September of 2013, Pat and Chuck were home from their many trips around the country, sitting on their porch, and enjoying the sunset. The only thing that disturbed this peaceful scene was Pat got a mosquito bite on her ankle. How annoying! About two days later, Chuck took Pat to the hospital emergency room. She began having seizures so severe the doctors put her into a coma until they could figure out what was happening. They finally determined she had a severe case of West Nile Encephalitis. In a very short time, she couldn't move her limbs, speak or even see anymore. This went on for months, but with the help of some world class doctors and extraordinary support and care from Chuck, she has turned the corner and is recovering. In fact, the first four quilts in this video won First Places in the Buffalo County Fair - this July, 2015. Pat and Chuck both displayed such incredible courage and faith through this ordeal. BTW - If you are going to visit an area where there are mosquitoes with West Nile Virus, take precautions. Wayne - still playing after all these years - now does a regular gig at the Nampa Senior Center where audiences of over 200 can show up on special events. For guitar players, those are two Fender Telecasters at Nampa, with mods to both body and circuitry. In the photo of the 1998 Alyeska Christmas Party in Delta Junction, Wayne is at the mic singing and that is Mike Noonan from Pump Station #9 in the suit playing guitar. 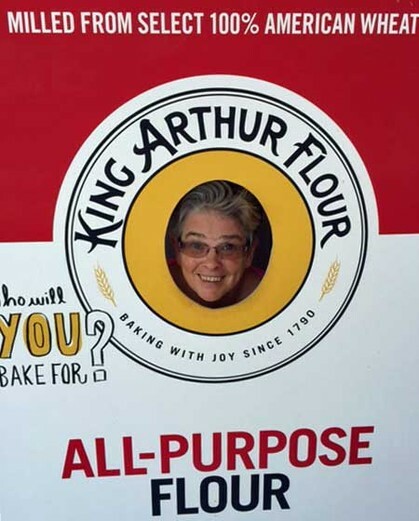 June 20 - Linda Powell - I am just home in from a week-long trip to Vermont where I studied Artisan Baking at King Arthur Flour Company. It was great to get out of the Arizona heat for a week, and we made baguettes, croissants, lavasch, sourdough and whole wheat bread. After class each day, we left with many loaves of bread and wandered the streets of the village of Norwich, looking for someone to give them to. We called it 'reverse begging.' Not everyone was willing to take bread from a strange woman on the street, but those that were had shining eyes and broad smiles when we parted. This may seem pedestrian to some, but one of my goals upon retirement was to learn to cook. 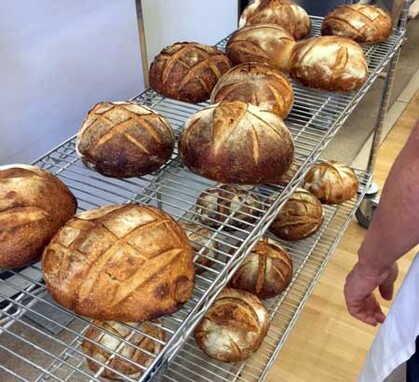 I've made it all the way up to bread baking. Hurray! June 18 - Bill Frichtl - This year's Atigun Lifetime Achievement Award went to Bill Frichtl, who started with Alyeska in February, 1976. Bill was there during construction and for initial start-up and was known for his extensive cross-discipline knowlege of Alyeska's equipment and facilities. 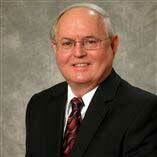 Bill was Senior Discipline Engineering Advisor and recently retired after 38 years of service. Be sure to read this article from the Valdez Daily News - Alyeska Names Prestigious Atigun Award Winners to learn about the other great people and efforts that were honored this year. We are again reminded how fortunate Alyeska has been to have such great people. June 16, 2015 - Jordan Jacobsen - In case you don't know Jordan, he likes to ride his bike. In fact, Jordan biked across America in May, traveling coast to coast, 3,466 miles, from Costa Mesa, CA (in Southern Calif) to Amesbury. MA. 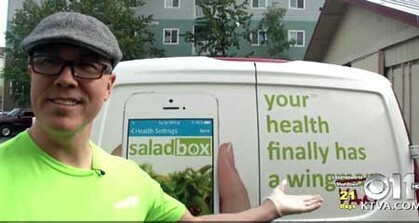 June 13, 2015 - Mike Levshakoff: We hear Mike has opened his own business, the Salad Box in Anchorage. Mike's new operation has started off well and recently made the KTVA Channel 11 news. And for those who haven't been to Alyeska's current office in Anchorage, the KTVA video also shows a quick peek of the building entrance as well Alyeska's own Barbara Harmon. Check out the Salad Box Website and the Salad Box Facebook page for more details.